Watch this brief but colourful overview of the history of psychology. It provides a brief but useful to this next section. Wilhelm Wundt (1832–1920) was a German scientist who was the first person to be referred to as a psychologist. His famous book entitled Principles of Physiological Psychology was published in 1873. Wundt viewed psychology as a scientific study of conscious experience, and he believed that the goal of psychology was to identify components of consciousness and how those components combined to result in our conscious experience. Wundt used introspection (he called it “internal perception”), a process by which someone examines their own conscious experience as objectively as possible, making the human mind like any other aspect of nature that a scientist observed. Wundt’s version of introspection used only very specific experimental conditions in which an external stimulus was designed to produce a scientifically observable (repeatable) experience of the mind (Danziger, 1980). The first stringent requirement was the use of “trained” or practiced observers, who could immediately observe and report a reaction. The second requirement was the use of repeatable stimuli that always produced the same experience in the subject and allowed the subject to expect and thus be fully attentive to the inner reaction. These experimental requirements were put in place to eliminate “interpretation” in the reporting of internal experiences and to counter the argument that there is no way to know that an individual is observing their mind or consciousness accurately, since it cannot be seen by any other person. This attempt to understand the structure or characteristics of the mind was known as structuralism. 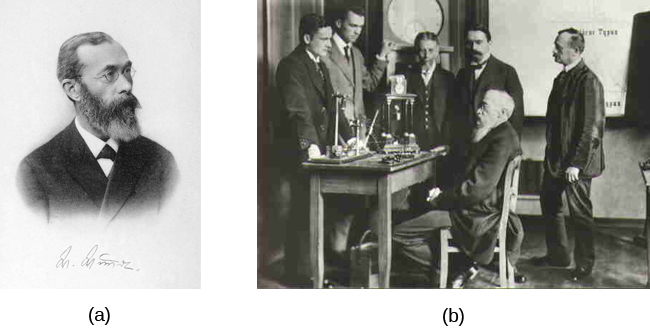 Wundt established his psychology laboratory at the University at Leipzig in 1879 (see Figure 2). In this laboratory, Wundt and his students conducted experiments on, for example, reaction times. A subject, sometimes in a room isolated from the scientist, would receive a stimulus such as a light, image, or sound. The subject’s reaction to the stimulus would be to push a button, and an apparatus would record the time to reaction. Wundt could measure reaction time to one-thousandth of a second (Nicolas & Ferrand, 1999). Figure 2. (a) Wilhelm Wundt is credited as one of the founders of psychology. He created the first laboratory for psychological research. (b) This photo shows him seated and surrounded by fellow researchers and equipment in his laboratory in Germany. However, despite his efforts to train individuals in the process of introspection, this process remained highly subjective, and there was very little agreement between individuals. As a result, structuralism fell out of favour with the passing of Wundt’s student, Edward Titchener, in 1927 (Gordon, 1995). William James (1842–1910) was the first North American psychologist who espoused a different perspective on how psychology should operate (see Figure 3). James was introduced to Darwin’s theory of evolution by natural selection and accepted it as an explanation of an organism’s characteristics. Key to that theory is the idea that natural selection leads to organisms that are adapted to their environment, including their behaviour. Adaptation means that a trait of an organism has a function for the survival and reproduction of the individual, because it has been naturally selected. As James saw it, psychology’s purpose was to study the function of behaviour in the world, and as such, his perspective was known as functionalism. Functionalism focused on how mental activities helped an organism fit into its environment. Functionalism has a second, more subtle meaning in that functionalists were more interested in the operation of the whole mind rather than of its individual parts, which were the focus of structuralism. Like Wundt, James believed that introspection could serve as one means by which someone might study mental activities, but James also relied on more objective measures, including the use of various recording devices, and examinations of concrete products of mental activities and of anatomy and physiology (Gordon, 1995). Figure 3. William James, shown here in a self-portrait, was the first American psychologist. 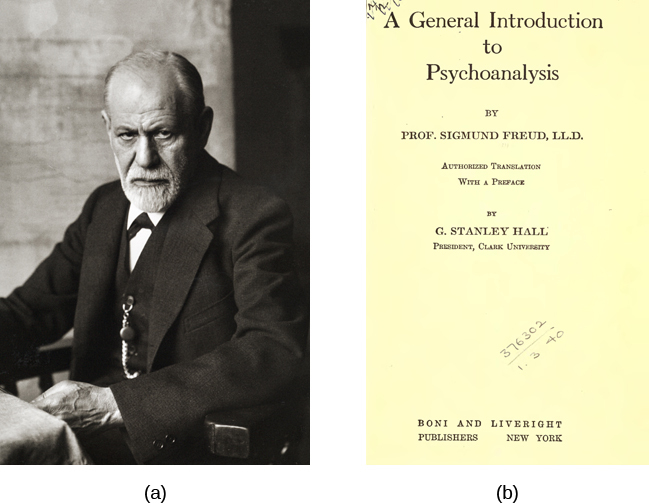 Perhaps one of the most influential and well-known figures in psychology’s history was Sigmund Freud (see Figure 4). Freud (1856–1939) was an Austrian neurologist who was fascinated by patients suffering from “hysteria” and neurosis. Hysteria was an ancient diagnosis for disorders, primarily of women with a wide variety of symptoms, including physical symptoms and emotional disturbances, none of which had an apparent physical cause. Freud theorized that many of his patients’ problems arose from the unconscious mind. In Freud’s view, the unconscious mind was a repository of feelings and urges of which we have no awareness. Gaining access to the unconscious, then, was crucial to the successful resolution of the patient’s problems. According to Freud, the unconscious mind could be accessed through dream analysis, by examinations of the first words that came to people’s minds, and through seemingly innocent slips of the tongue. Psychoanalytic theory focuses on the role of a person’s unconscious, as well as early childhood experiences, and this particular perspective dominated clinical psychology for several decades (Thorne & Henley, 2005). Figure 4. (a) Sigmund Freud was a highly influential figure in the history of psychology. 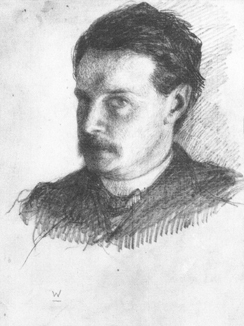 (b) One of his many books, A General Introduction to Psychoanalysis, shared his ideas about psychoanalytical therapy; it was published in 1922. Freud’s ideas were influential, and you will learn more about them when you study lifespan development, personality, and therapy. For instance, many therapists believe strongly in the unconscious and the impact of early childhood experiences on the rest of a person’s life. The method of psychoanalysis, which involves the patient talking about their experiences and selves, while not invented by Freud, was certainly popularized by him and is still used today. Many of Freud’s other ideas, however, are controversial. Drew Westen (1998) argues that many of the criticisms of Freud’s ideas are misplaced, in that they attack his older ideas without taking into account later writings. Westen also argues that critics fail to consider the success of the broad ideas that Freud introduced or developed, such as the importance of childhood experiences in adult motivations, the role of unconscious versus conscious motivations in driving our behaviour, the fact that motivations can cause conflicts that affect behaviour, the effects of mental representations of ourselves and others in guiding our interactions, and the development of personality over time. Westen identifies subsequent research support for all of these ideas. More modern iterations of Freud’s clinical approach have been empirically demonstrated to be effective (Knekt et al., 2008; Shedler, 2010). Some current practices in psychotherapy involve examining unconscious aspects of the self and relationships, often through the relationship between the therapist and the client. Freud’s historical significance and contributions to clinical practice merit his inclusion in a discussion of the historical movements within psychology. Max Wertheimer (1880–1943), Kurt Koffka (1886–1941), and Wolfgang Köhler (1887–1967) were three German psychologists who immigrated to the United States in the early 20th century to escape Nazi Germany. These men are credited with introducing psychologists in the United States to various Gestalt principles. The word Gestalt roughly translates to “whole;” a major emphasis of Gestalt psychology deals with the fact that although a sensory experience can be broken down into individual parts, how those parts relate to each other as a whole is often what the individual responds to in perception. For example, a song may be made up of individual notes played by different instruments, but the real nature of the song is perceived in the combinations of these notes as they form the melody, rhythm, and harmony. In many ways, this particular perspective would have directly contradicted Wundt’s ideas of structuralism (Thorne & Henley, 2005). Unfortunately, in moving to the United States, these men were forced to abandon much of their work and were unable to continue to conduct research on a large scale. These factors along with the rise of behaviourism (described next) in the United States prevented principles of Gestalt psychology from being as influential in North America as they had been in their native Germany (Thorne & Henley, 2005). Despite these issues, several Gestalt principles are still very influential today. Considering the human individual as a whole rather than as a sum of individually measured parts became an important foundation in humanistic theory late in the century. The ideas of Gestalt have continued to influence research on sensation and perception. Structuralism, Freud, and the Gestalt psychologists were all concerned in one way or another with describing and understanding inner experience. But other researchers had concerns that inner experience could be a legitimate subject of scientific inquiry and chose instead to exclusively study behaviour, the objectively observable outcome of mental processes. Early work in the field of behaviour was conducted by the Russian physiologist Ivan Pavlov (1849–1936). Pavlov studied a form of learning behaviour called a conditioned reflex, in which an animal or human produced a reflex (unconscious) response to a stimulus and, over time, was conditioned to produce the response to a different stimulus that the experimenter associated with the original stimulus. The reflex Pavlov worked with was salivation in response to the presence of food. The salivation reflex could be elicited using a second stimulus, such as a specific sound, that was presented in association with the initial food stimulus several times. Once the response to the second stimulus was “learned,” the food stimulus could be omitted. Pavlov’s “classical conditioning” is only one form of learning behaviour studied by behaviourists. Figure 5. John B. Watson is known as the father of behaviourism within psychology. Behaviourism dominated experimental psychology for several decades, and its influence can still be felt today (Thorne & Henley, 2005). Behaviourism is largely responsible for establishing psychology as a scientific discipline through its objective methods and especially experimentation. In addition, it is used in behavioural and cognitive-behavioural therapy. Behaviour modification is commonly used in classroom settings. Behaviourism has also led to research on environmental influences on human behaviour. B. F. Skinner (1904–1990) was an American psychologist (see Figure 6). Like Watson, Skinner was a behaviourist, and he concentrated on how behaviour was affected by its consequences. Therefore, Skinner spoke of reinforcement and punishment as major factors in driving behaviour. As a part of his research, Skinner developed a chamber that allowed the careful study of the principles of modifying behaviour through reinforcement and punishment. This device, known as an operant conditioning chamber (or more familiarly, a Skinner box), has remained a crucial resource for researchers studying behaviour (Thorne & Henley, 2005). The Skinner box is a chamber that isolates the subject from the external environment and has a behaviour indicator such as a lever or a button. When the animal pushes the button or lever, the box is able to deliver a positive reinforcement of the behaviour (such as food) or a punishment (such as a noise) or a token conditioner (such as a light) that is correlated with either the positive reinforcement or punishment. Skinner’s focus on positive and negative reinforcement of learned behaviours had a lasting influence in psychology that has waned somewhat since the growth of research in cognitive psychology. Despite this, conditioned learning is still used in human behavioural modification. Skinner’s two widely read and controversial popular science books about the value of operant conditioning for creating happier lives remain as thought-provoking arguments for his approach (Greengrass, 2004). 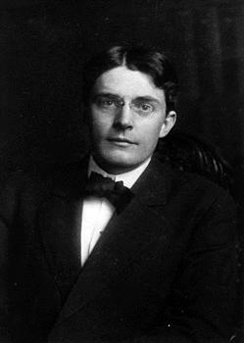 During the early 20th century, American psychology was dominated by behaviourism and psychoanalysis. However, some psychologists were uncomfortable with what they viewed as limited perspectives being so influential to the field. They objected to the pessimism and determinism (all actions driven by the unconscious) of Freud. They also disliked the reductionism, or simplifying nature, of behaviourism. Behaviourism is also deterministic at its core, because it sees human behaviour as entirely determined by a combination of genetics and environment. Some psychologists began to form their own ideas that emphasized personal control, intentionality, and a true predisposition for “good” as important for our self-concept and our behaviour. Thus, humanism emerged.Humanism is a perspective within psychology that emphasizes the potential for good that is innate to all humans. Two of the most well-known proponents of humanistic psychology are Abraham Maslow and Carl Rogers (O’Hara, n.d.). Abraham Maslow (1908–1970) was an American psychologist who is best known for proposing a hierarchy of human needs in motivating behaviour (see Figure 7). Although this concept will be discussed in more detail in a later chapter, a brief overview will be provided here. 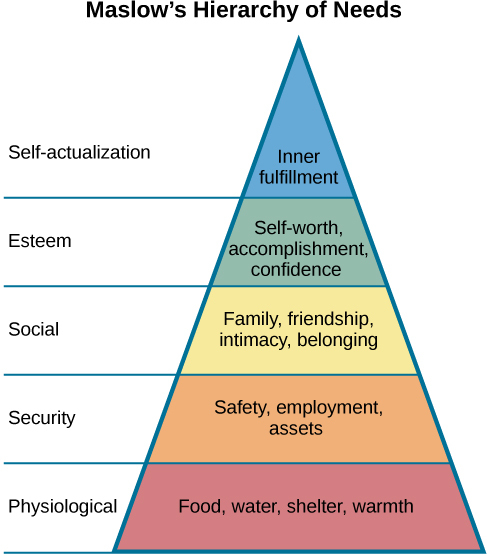 Maslow asserted that so long as basic needs necessary for survival were met (e.g., food, water, shelter), higher-level needs (e.g., social needs) would begin to motivate behaviour. According to Maslow, the highest-level needs relate to self-actualization, a process by which we achieve our full potential. Obviously, the focus on the positive aspects of human nature that are characteristic of the humanistic perspective is evident (Thorne & Henley, 2005). Humanistic psychologists rejected, on principle, the research approach based on reductionist experimentation in the tradition of the physical and biological sciences, because it missed the “whole” human being. Beginning with Maslow and Rogers, there was an insistence on a humanistic research program. This program has been largely qualitative (not measurement-based), but there exist a number of quantitative research strains within humanistic psychology, including research on happiness, self-concept, meditation, and the outcomes of humanistic psychotherapy (Friedman, 2008). Figure 7. Maslow’s hierarchy of needs. 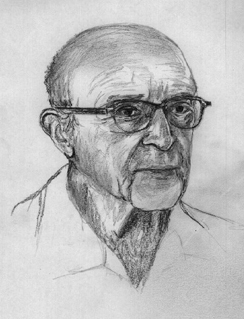 Carl Rogers (1902–1987) was also an American psychologist who, like Maslow, emphasized the potential for good that exists within all people (Figure 8). Rogers used a therapeutic technique known as client-centered therapy in helping his clients deal with problematic issues that resulted in their seeking psychotherapy. Unlike a psychoanalytic approach in which the therapist plays an important role in interpreting what conscious behaviour reveals about the unconscious mind, client-centered therapy involves the patient taking a lead role in the therapy session. Rogers believed that a therapist needed to display three features to maximize the effectiveness of this particular approach: unconditional positive regard, genuineness, and empathy. Unconditional positive regard refers to the fact that the therapist accepts their client for who they are, no matter what he or she might say. Provided these factors, Rogers believed that people were more than capable of dealing with and working through their own issues (Thorne & Henley, 2005). Behaviourism’s emphasis on objectivity and focus on external behaviour had pulled psychologists’ attention away from the mind for a prolonged period of time. The early work of the humanistic psychologists redirected attention to the individual human as a whole, and as a conscious and self-aware being. By the 1950s, new disciplinary perspectives in linguistics, neuroscience, and computer science were emerging, and these areas revived interest in the mind as a focus of scientific inquiry. This particular perspective has come to be known as the cognitive revolution (Miller, 2003). By 1967, Ulric Neisser published the first textbook entitled Cognitive Psychology, which served as a core text in cognitive psychology courses around the country (Thorne & Henley, 2005).Although no one person is entirely responsible for starting the cognitive revolution, Noam Chomsky was very influential in the early days of this movement. Chomsky (1928–), an American linguist, was dissatisfied with the influence that behaviourism had had on psychology. He believed that psychology’s focus on behaviour was short-sighted and that the field had to re-incorporate mental functioning into its purview if it were to offer any meaningful contributions to understanding behaviour (Miller, 2003). European psychology had never really been as influenced by behaviourism as had American psychology; and thus, the cognitive revolution helped reestablish lines of communication between European psychologists and their American counterparts. Furthermore, psychologists began to cooperate with scientists in other fields, like anthropology, linguistics, computer science, and neuroscience, among others. This interdisciplinary approach often was referred to as the cognitive sciences, and the influence and prominence of this particular perspective resonates in modern-day psychology (Miller, 2003). The science of psychology has had an impact on human wellbeing, both positive and negative. The dominant influence of Western, white, and male academics in the early history of psychology meant that psychology developed with the biases inherent in those individuals, which often had negative consequences for members of society that were not white or male. Women, members of ethnic minorities in both the United States and other countries, and individuals with sexual orientations other than heterosexual had difficulties entering the field of psychology and therefore influencing its development. They also suffered from the attitudes of white, male psychologists, who were not immune to the nonscientific attitudes prevalent in the society in which they developed and worked. Until the 1960s, the science of psychology was largely a “womanless” psychology (Crawford & Marecek, 1989), meaning that few women were able to practice psychology, so they had little influence on what was studied. In addition, the experimental subjects of psychology were mostly men, which resulted from underlying assumptions that gender had no influence on psychology and that women were not of sufficient interest to study. Crawford & Marecek (1989) identify several feminist approaches to psychology that can be described as feminist psychology. These include re-evaluating and discovering the contributions of women to the history of psychology, studying psychological gender differences, and questioning the male bias present across the practice of the scientific approach to knowledge. Culture has important impacts on individuals and social psychology, yet the effects of culture on psychology are under-studied. There is a risk that psychological theories and data derived from white, North American settings could be assumed to apply to individuals and social groups from other cultures and this is unlikely to be true (Betancourt & López, 1993). One weakness in the field of cross-cultural psychology is that in looking for differences in psychological attributes across cultures, there remains a need to go beyond simple descriptive statistics (Betancourt & López, 1993). In this sense, it has remained a descriptive science, rather than one seeking to determine cause and effect. For example, a study of characteristics of individuals seeking treatment for a binge eating disorder in Hispanic American, African American, and Caucasian American individuals found significant differences between groups (Franko et al., 2012). The study concluded that results from studying any one of the groups could not be extended to the other groups, and yet potential causes of the differences were not measured. History of Psychology by Rajiv Jhangiani, Ph.D. is licensed under a Creative Commons Attribution 4.0 International License, except where otherwise noted.